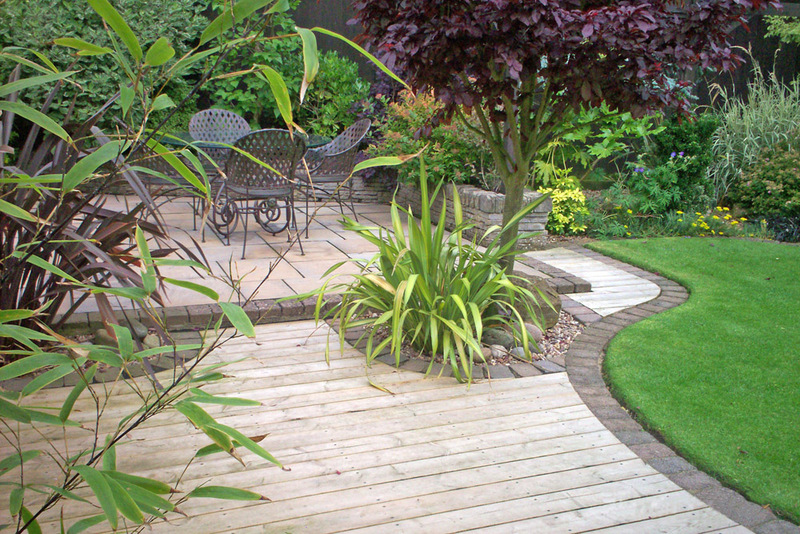 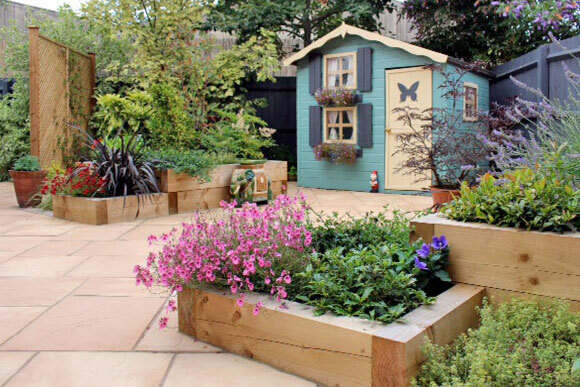 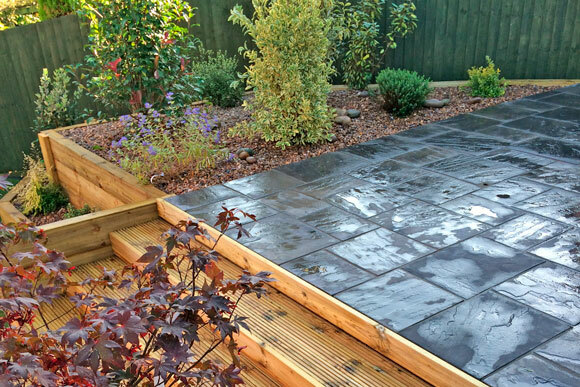 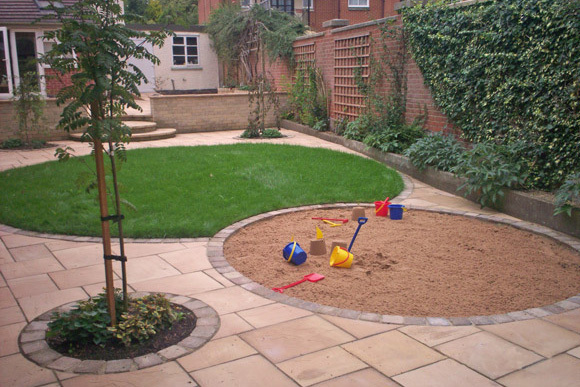 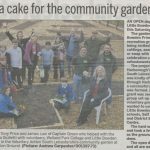 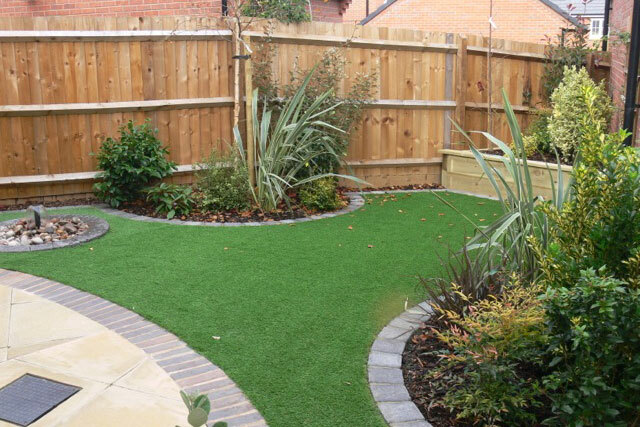 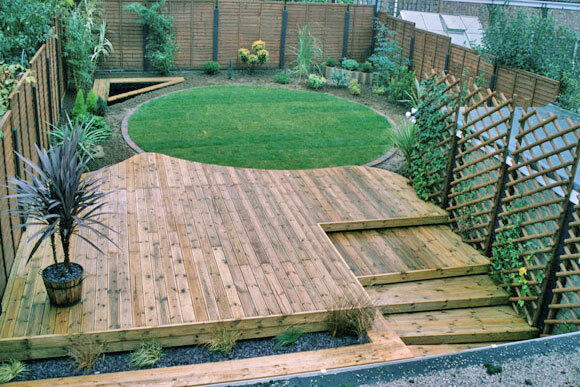 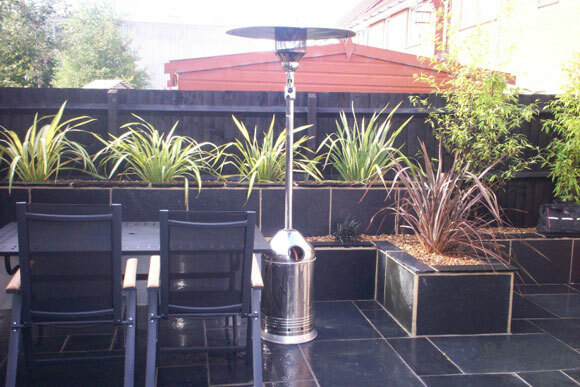 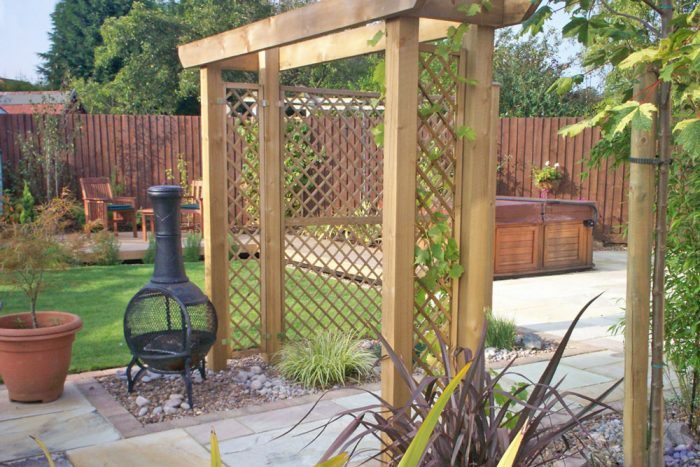 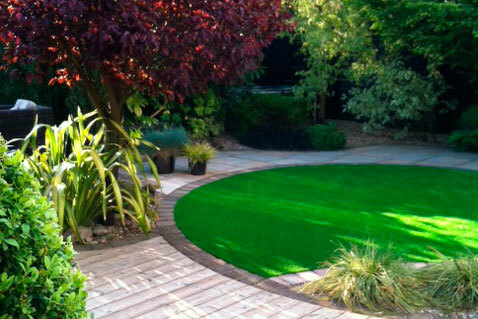 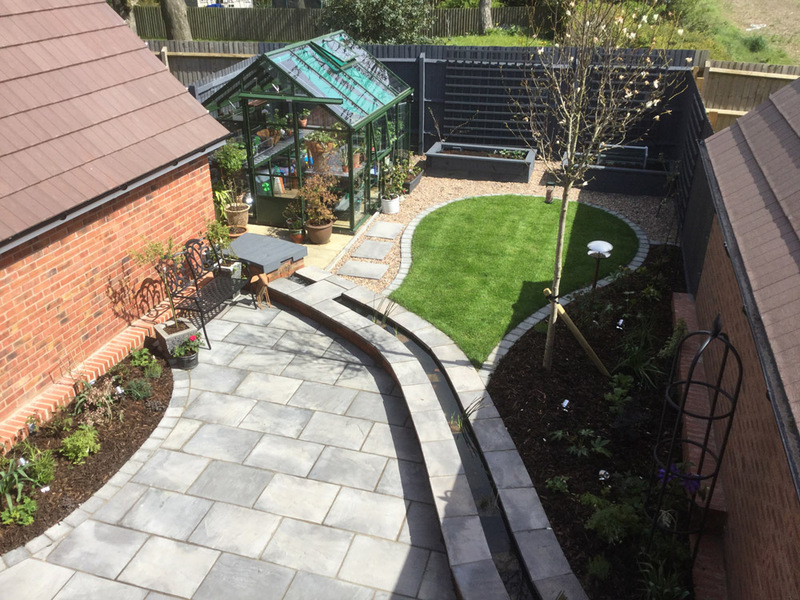 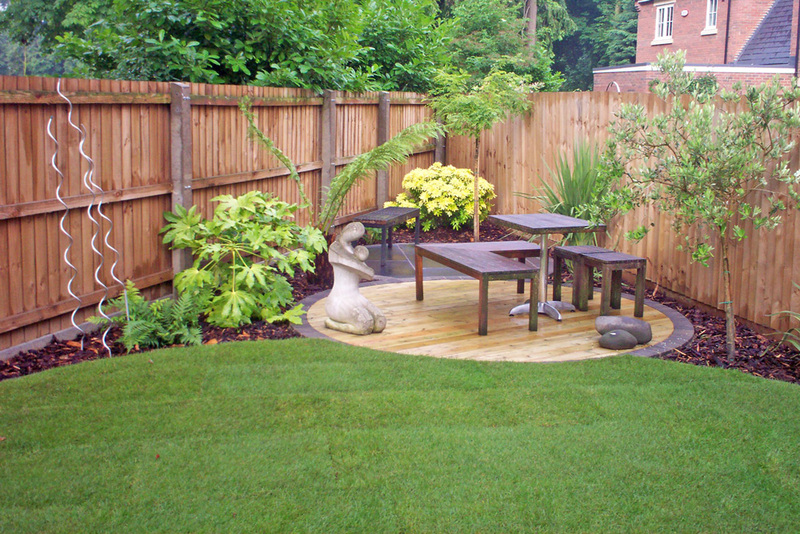 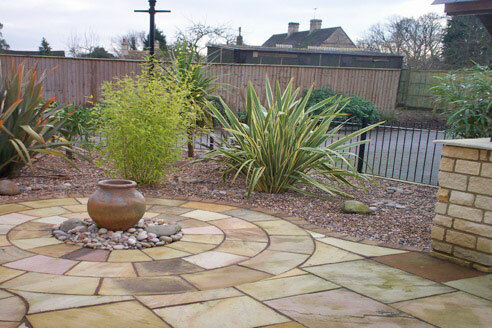 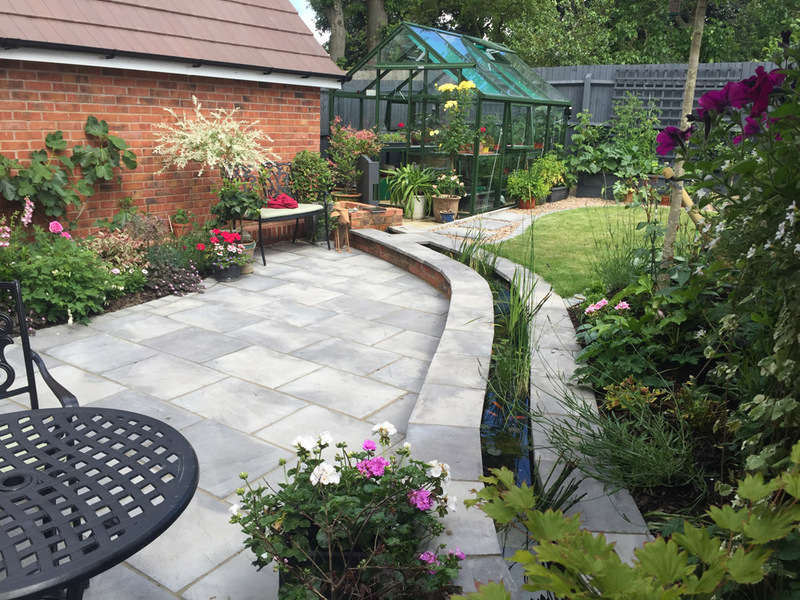 This particular garden was designed to the customer’s requirements as an avid gardener. 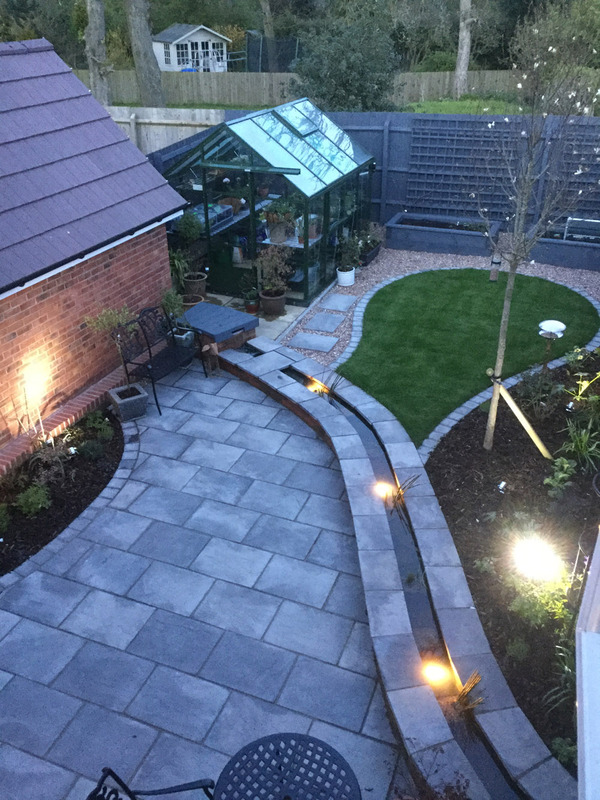 The greenhouse was in place prior to design, all planting was completed by the customer after we had completed the hard landscape. 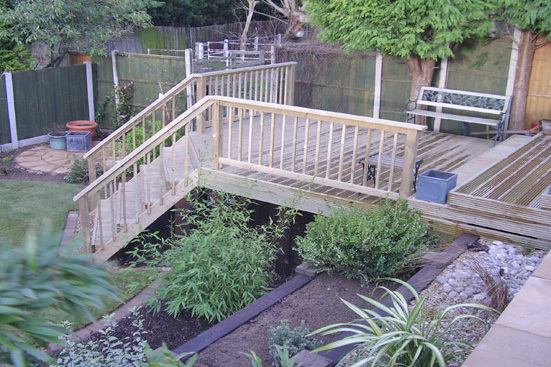 Garden includes large terrace, water feature rill, framed lawn and raised vegetable beds to rear. 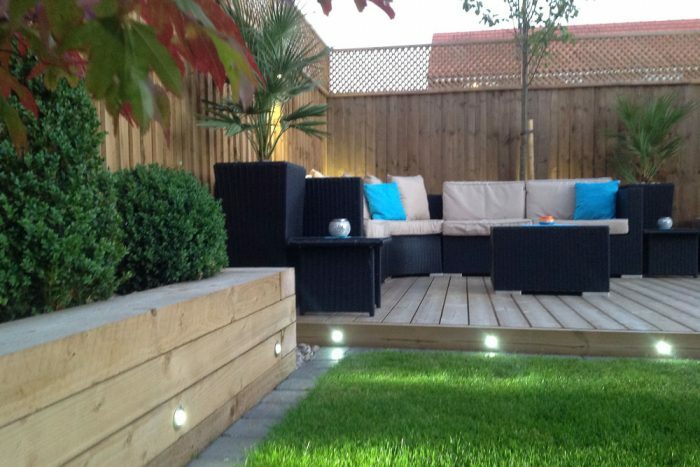 Lighting includes up-lighters to plant beds and submersible lights to rill.